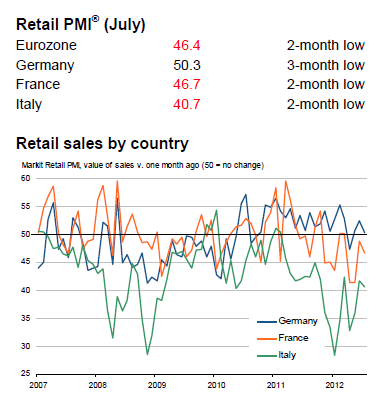 Eurozone retail sales continue to dive and not even Germany is immune. German manufacturing has been in contraction off-and-on, and retail sales are once again on the verge contraction as well. Let’s take a look at some reports. July data pointed to a further reduction in activity in the Italian retail sector, with sales down markedly both on the month and compared with levels one year ago. The rates of decline in employment, purchasing activity and inventories all accelerated, while profitability continued to deteriorate sharply. Cost pressures, however, eased to the weakest in 20 months amid stronger competition between suppliers. The downturn in Italy’s retail sector extended to a seventeenth month in July. Furthermore, the rate of contraction in like-for-like sales accelerated from the previous month and was marked. 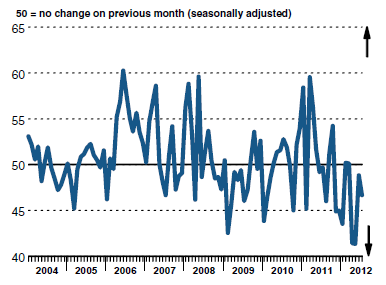 This was signalled by the seasonally adjusted Italian Retail PMI® posting 40.7, down from 41.7 in June. Italian retailers generally fell short of their targets set for July. French retailers encountered another tough month in July. Sales fell at a sharper rate on both a monthly and an annual basis, while margins were squeezed to the greatest extent in the survey history. The pace of job shedding accelerated [fastest rate in nearly three years], while retailers scaled back their purchasing of goods and lowered their inventories. 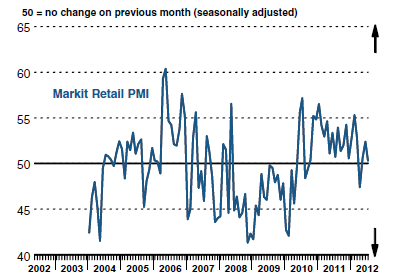 The headline Retail PMI® remained below the 50.0 no-change mark for a fourth successive month in July. At 46.7, down from 48.9 in June, the index signalled an acceleration in the monthly rate of decline in sales. Gross margins in the French retail sector continued to decline in July. Moreover, the latest fall was the sharpest in the history of the survey. Panellists indicated that margins were squeezed by the need to engage in substantial discounting and promotional activity in the face of an increasingly competitive trading environment. The recent rebound in German retail sales faded in July, with like-for-like sales rising only marginally since the previous month. At 50.3, down from 52.4 in June, the seasonally adjusted Germany Retail PMI signalled the slowest expansion in the current three-month period of growth. German retailers indicated that their actual sales fell short of their initial plans in July, and by the greatest margin since January. Anecdotal evidence mainly cited weaker than anticipated underlying consumer demand. July data indicated that retailers are downbeat about their prospects for reaching sales targets in one month’s time. The degree of negative sentiment was the most marked since that recorded in December 2009. 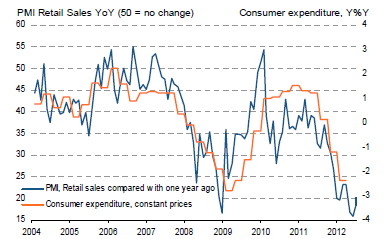 Eurozone retail sales fell on an annual basis for the fourteenth successive month in July. The rate of contraction was little-changed from June’s sharp pace, and much faster than the long-run average for the survey. Sales fell rapidly in Italy, extending the current sequence of decline to two-and-a-half years. France also posted a steep fall, the fifth in successive months. Sales were up compared with a year earlier in Germany, and at the fastest rate since March. Retailers cut back on staffing in July. The current period of job shedding now stretches to four months, and the rate of reduction accelerated to a 32-month record. 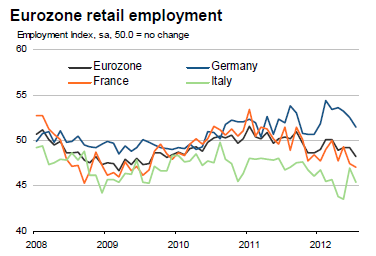 French and Italian retailers reduced their workforces on average, with the steeper decline posted among the latter. Italian retailers have shed staff every month since January 2008. In contrast, German retailers raised headcounts for the twenty-sixth successive month.